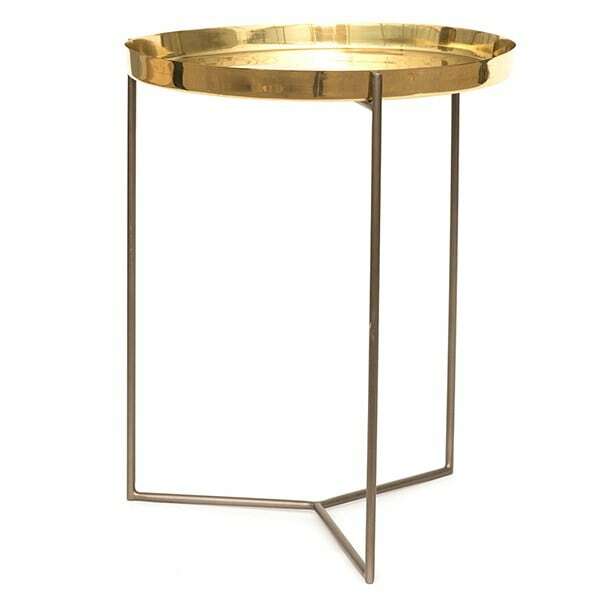 A lovely addition beside a favourite armchair or in the conservatory, this decorative stand features a hand-spun polished brass tray with antique pewter tripod base. 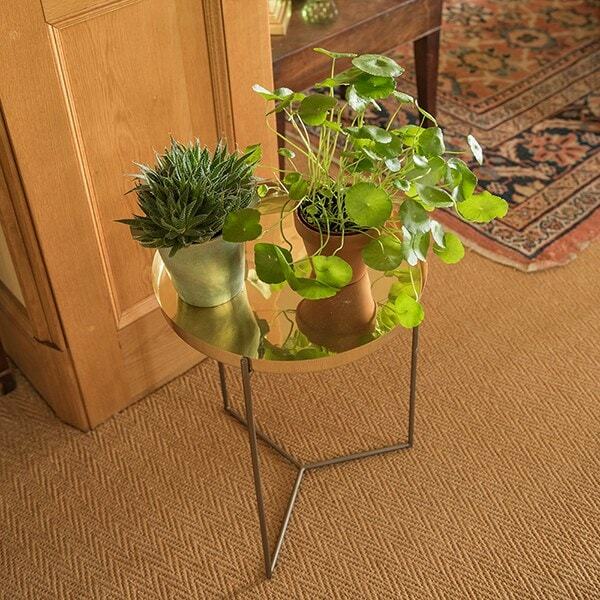 More than sturdy enough for occasional use to rest your cup, book, etc, it is best used as an elegant display unit for small pot plants; the raised edge and watertight seal keeping pots safely contained. 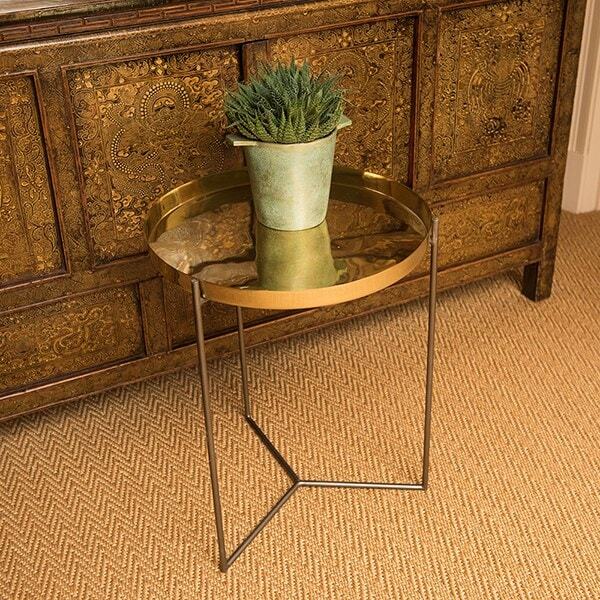 The tray can also be easily removed from the base and used independently.